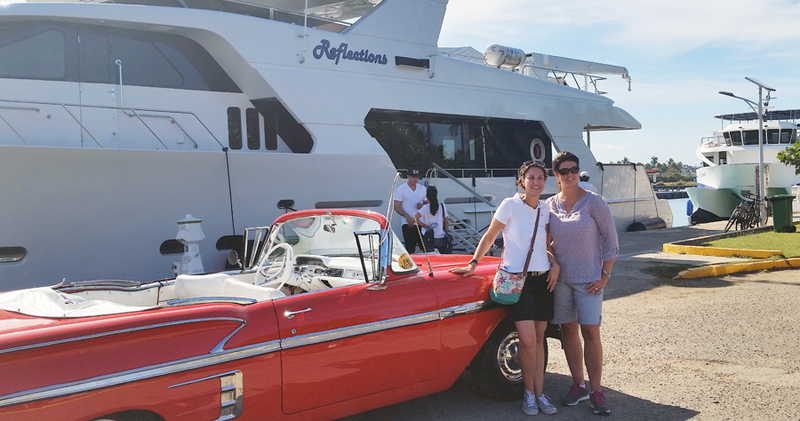 RJC Yacht Sales & Charter Announces Your Next Charter Destination - Cuba! The 107-foot mega yacht has four cabins with private bathrooms, a jacuzzi, two jet skis, two auxiliary boats and a crew of four, including a chef. With all those amenities, the flamboyant vessel named Reflections recently departed from Key West to Havana, its second voyage to the island in less than a year. Reflections is just one of hundreds of yachts that have been sailing from the United States to Cuba since September 2015, when the U.S. Department of the Treasury issued a new set of regulations approved by the former Obama administration that opened the door to passenger transportation to the island by sea. Those in the industry say the number of yacht excursions is multiplying quickly even as passenger cruise ships, which operate under the same regulations, have gotten the most attention. “Since Dec. 17, 2014, almost nothing has happened in Cuba except tourism, and much if not most of the tourism is illegal,” said Coral Gables attorney Michael T. Moore, referring to the reestablishment of U.S.-Cuba relations.